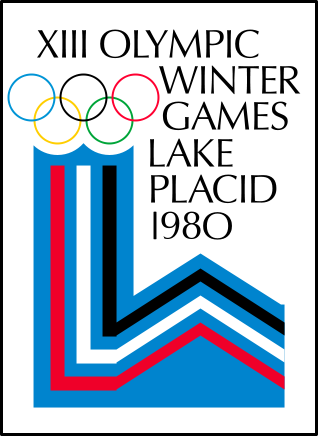 The 1980 Winter Olympics, officially known as the XIII Olympic Winter Games, were a winter multi-sport event which was celebrated in February 13 through February 24, 1980 in Lake Placid, New York, United States of America. This was the second time the upstate New York village hosted the Games, after 1932. The only other candidate city to bid for the Games was Vancouver-Garibaldi, British Columbia, Canada; they withdrew before the final vote. The mascots of the Games were "Roni" and "Ronny", the raccoon. The natural mask on a raccoon recalls the goggles and hats worn by many athletes in winter sports. Critics decried poorly planned transportation which left spectators waiting for hours in freezing weather, and some athletes complained about lousy accommodations at the Olympic village, where the dorms would later be turned into a prison. The supply and demand for event tickets never merged, as would-be buyers were unable to buy unsold tickets because only those who already had a ticket could enter ticket-sales areas at venues. Unsold tickets are still being sold as souvenirs at several local tourist shops, including the Olympic Regional Development Association's gift shop at the Olympic Arena. 36 NOCs participated. United States President Jimmy Carter had already called for the boycott of the 1980 Summer Olympics in Moscow, leading to a great deal of tension at the Games. Nevertheless, the USSR and its allies participated. Three NOCs made their Olympic debut at the 1980 Winter Olympics: the People's Republic of China, Costa Rica, and Cyprus. The Republic of China boycotted the Games over the IOC's recognition of the PRC as "China", and its request for the Republic of China to compete as "Chinese Taipei". The official theme song for the 1980 Winter Olympics was "Give It All You Got" by the American flugelhorn player Chuck Mangione, who performed the song live at the Closing Ceremonies.